For breakfast sunny blueberry corn muffins from Vegan with a Vengance. Don't you love the colour of these babies? For dinner this great little number! Pre and post cooked. 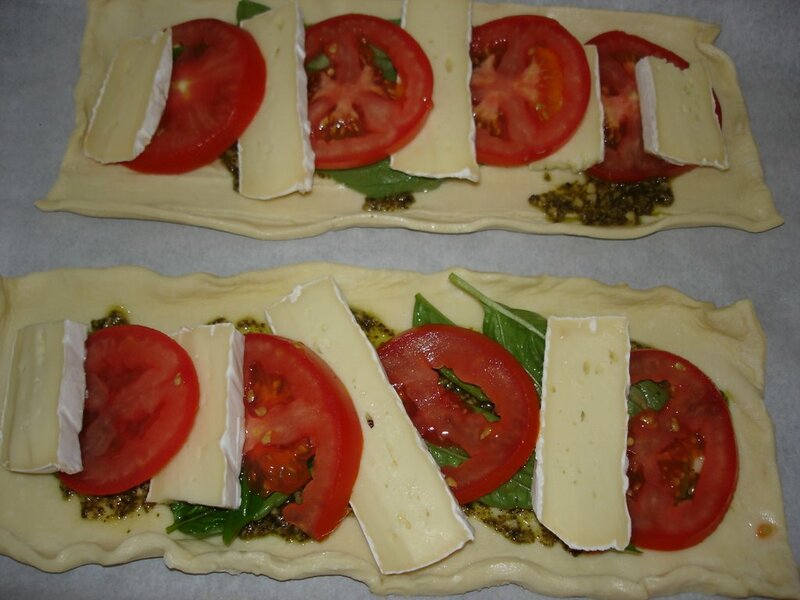 Inspired by Albion Cooks Puff pastry with pesto, basil leaves, tomatoes and brie cheese. First off...can I go live with your aunt and uncle? Wow! What an incredible Indian meal! The cabbage dish especially caught my eye. 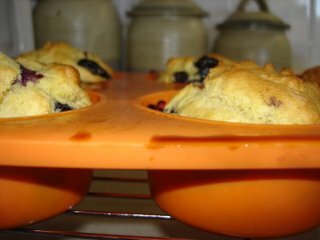 I was considering that muffin recipe. They look fantastic! So does the lo mein. Sweet and spicy tofu!? Did you buy it premade or did you make it? I would love details please. And....puff pastry! Brie! I'm a weak, selfish person. Cheese is the one thing keeping me from veganism. Ahhh, soft, buttery, melty brie. How I love thee. Try puff pastry, brie and PC's cranberry orange relish. You'll think you've died and gone to heaven. 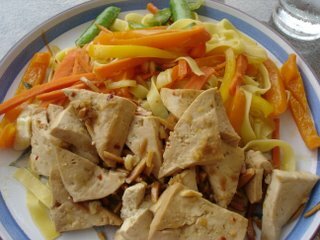 I posted the recipe for the tofu before (I called it delicious tofu then). 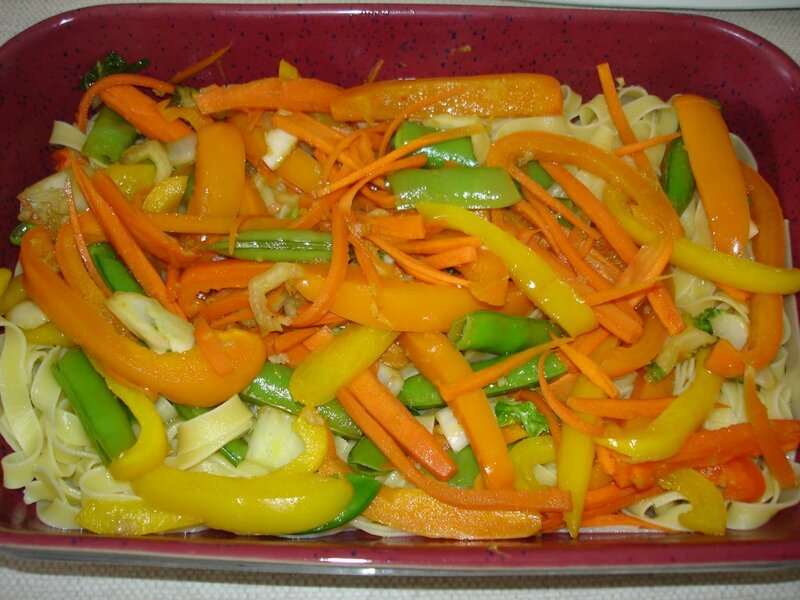 Here it is - it is so easy and delicious! In a frying pan on med-high heat, saute the tofu in oil til browned. REduce heat to med-low and add the garlic, ginger, and chili. Saute for 5 mintues. Add the maple syrup, soy sauce and lemon juice. Cover and cook til liquid has evaporated. 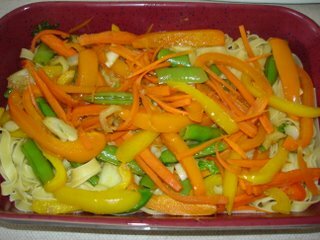 Garnish with the chopped almonds. Serve on brown rice. I know, I am a struggling vegan. I love my eggs and cheese. I try to cook mostly vegan... but every now and then I love my cheese. 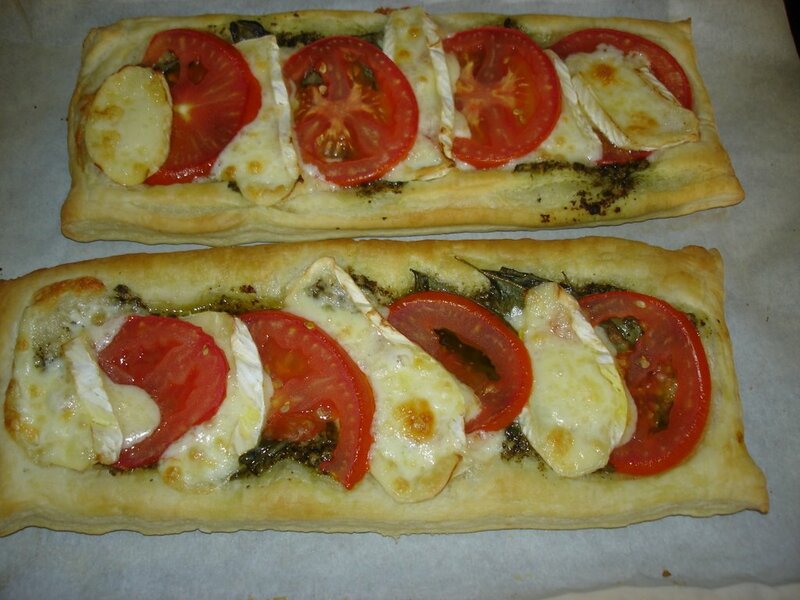 oh my goodness, that puff pastry looks so amazing!!! 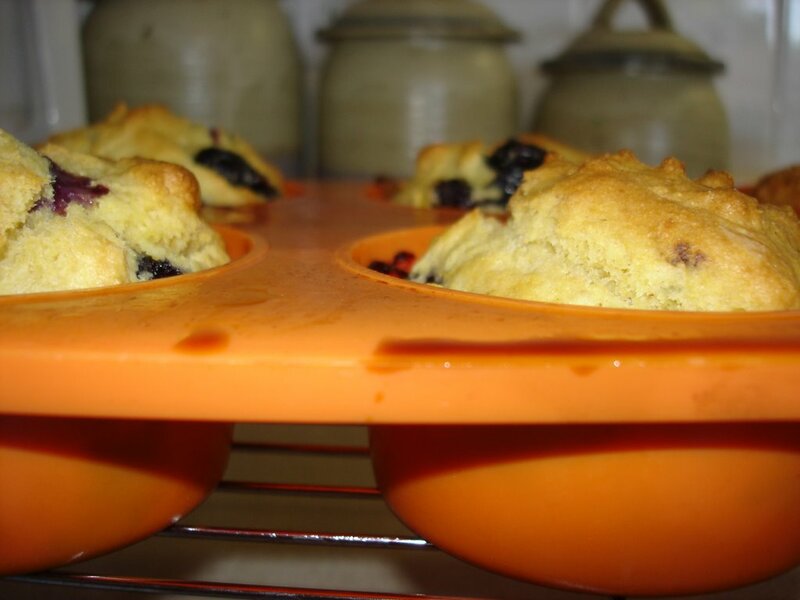 & i'm coo-coo for muffins - yours look great & whata nice muffin pan. cooking delights indeed. 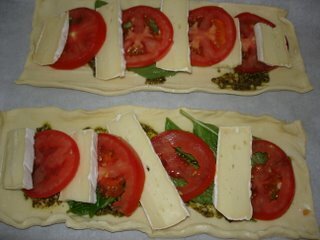 Love the brie and tomato combination! Your tarts look fabulous and aren't they easy! All of it looks so great!!! 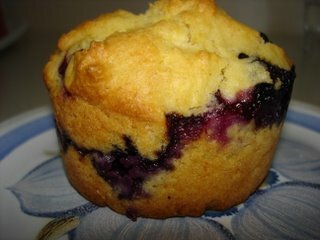 Yes, i love the colour of the muffin! The lo mein is gorgeous and i love me some good tofu!!! The puff pastry is so tempting... i'm trying to get off cheese though! *sigh* I would def. try all of these!! What a brilliant creation with the puff pastry. I'm inspired!